Results and performances like last season’s at Stamford Bridge give a team the confidence to go there again with every expectation of bringing at least a point home. It’s not that we are taking anything for granted but what it does give a team is the removal of an overwhelming feeling that they are beaten before they get on the pitch. With new boys Oscar and Hazard, Chelsea are going through a change of personnel and they’ve already hit the top thanks to a bonus early Premier League win against Reading. However, it almost backfired on them as Reading led 2-1 and Chelsea only won the game in the final ten minutes with the help of some dubious decisions from the match officials. Yohan Cabaye will have given Alan Pardew all the info he needs on his ex-teammate Eden Hazard and while you shouldn’t ignore the opposition it is obviously more about who we can put on the pitch and what they can do. Cisse played all but the closing stages in Greece and must surely start at Chelsea as well, he’s looking sharp even with the poor service he had against Atromitos. A goal looks due at any time and where better than the scene of those two wonder goals last season. With Ba’s brilliant opener against Spurs and Ben Arfa’s man of the match performance, going forward the players are looking sharp. Overall there was perhaps a bit of rustiness in the team play, thanks to a lack of match play together pre-season. even with the European trip you would hope that a week further on things can only have improved on that front. 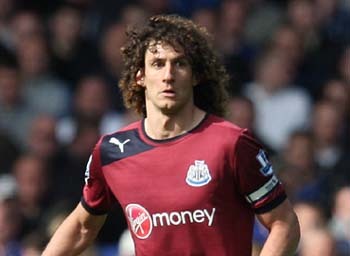 While Perch did everything asked of him last Saturday at St.James’ Park, it would still be a massive boost to have Coloccini back alongside Steven Taylor who looked to be back at his very best against Tottenham. After Alan Pardew admitting to a rare little white lie on Ben Arfa’s fitness last week, it will be interesting to see who is fit and available at 5.30pm on Saturday. Neither Ba or Tiote travelled but whether that was just giving them a bit of rest or anything to worry about, is anybody’s guess. Torres is back in favour at Stamford Bridge and with two goals already is likely to have his confidence levels on the way back, keeping him off the scoresheet would likely to take us halfway to a positive result. If Newcastle can name their first choice team then I believe we’ll come away with something, if a couple of players are missing then we may have to rely a little more on magic from the likes of Ba, Cisse and Ben Arfa. Yohan Cabaye will hopefully be that much fitter this week and alongside Cheick Tiote can hopefully carry on where they left off last season, teh French midfielder having been a little off the pace last weekend. Only a week into the season and it feels like we’ve never been away, loving it!